You may have seen mention of recent bacterial studies that claim that your cell phone is a veritable hothouse for bacteria. In fact, some studies claim that you may have up to ten times more bacteria on your phone than you do on your toilet seat. Yuck. If you weren't a germophobe already, chances are that you are one now. So what should you do if you want to keep your phone clear of nasty bugs like E. coli? Some people turn to phone sanitizers, which claim to get rid of 99.99% of bacteria. This is the same UV sanitizer technology that you often see in wand form, used to disinfect everything from toothbrushes to hotel linens. UV light is often used to kill bacteria because specific wavelengths of UV light are "germicidal," in the sense that they can cause the bonds to break between molecules within the bacteria's DNA, rendering the bacteria damaged or dead. That's all well and good in theory, but I was curious to see how well these phone sanitizers actually worked in practice. 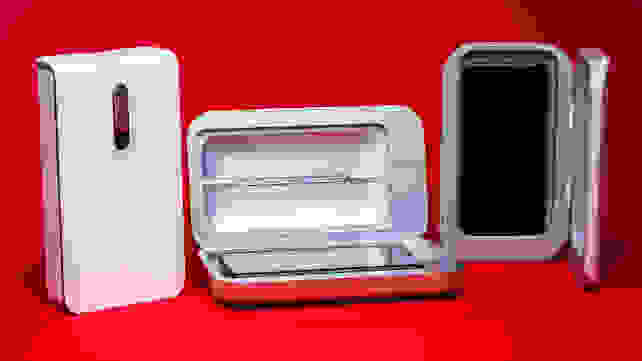 To get a general idea of effectiveness, I tried out three of them: PhoneSoap 3.0, CareBox, and Sterilizer. Each of these phone cleaners contain two UV lights, mounted both above and below the phone to kill bacteria on both sides. As a control, I also tried out a phone-friendly DIY disinfecting solution recipe, which you mix yourself and spray onto a soft microfiber cloth before rubbing the cloth gently all over the phone. Because I have little to no experience in actually growing bacteria, I also got a very basic bacteria-growing kit that allowed someone with a black thumb like myself to keep microorganisms alive long enough to see whether they could be killed by a phone cleaner. So, did the phone cleaners actually get rid of bacteria? A qualified yes. Yes, they work to some extent, but there is also a cheaper, more effective alternative out there. To make sure each phone started out with a relatively clean slate, I started by cleaning both my phone and my coworker's phone with the DIY disinfecting solution described above. Then, after three or four days, I wet and swiped the sterile swab that came with the bacteria-growing kit across the entirety of one of the two phones. 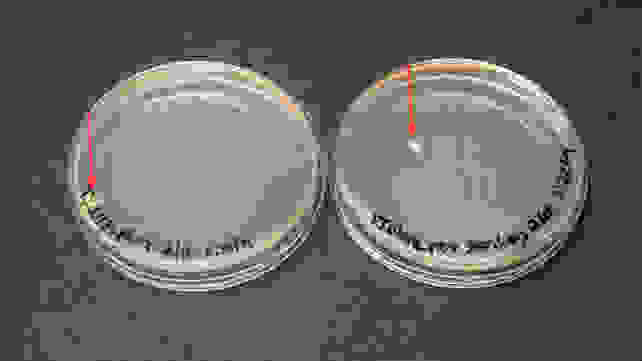 I gently transferred the swab's contents onto the surface of the agar plates. I then placed the phone inside one of the phone cleaners (a typical phone sanitizing cycle takes about six minutes), and repeated the swab and transfer process onto a second agar plate. 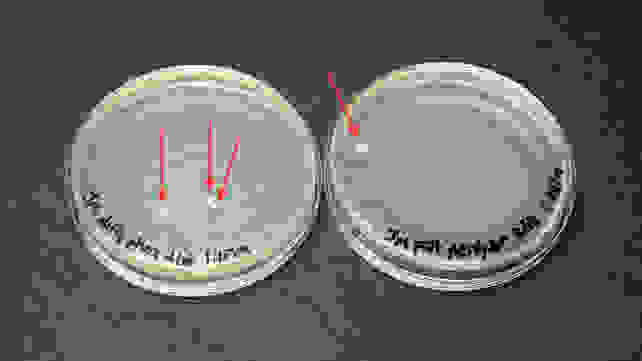 For each round of testing, I placed four agar plates (before and after the phone cleaner for both my own and my coworker's phone) under a heat lamp for three to four days, all while monitoring the temperature to ensure that it stayed in the optimal range for bacteria growth of 84°F-100°F. As a final test to use as a point of comparison, I also tested out the bacterial growth before and after using the DIY disinfecting solution alone. 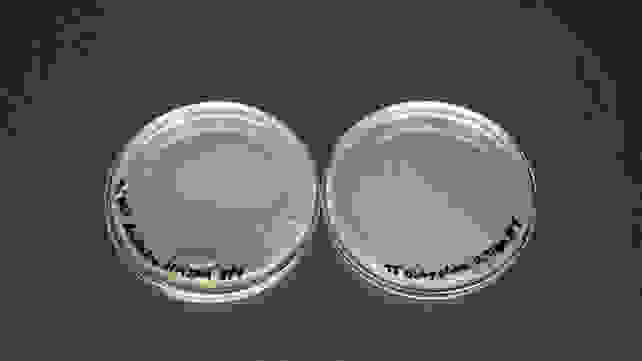 In the bacteria plates shown below, the bacteria found on the phone prior to cleaning is shown on the left, and the bacteria found on the phone after cleaning is shown on the right. 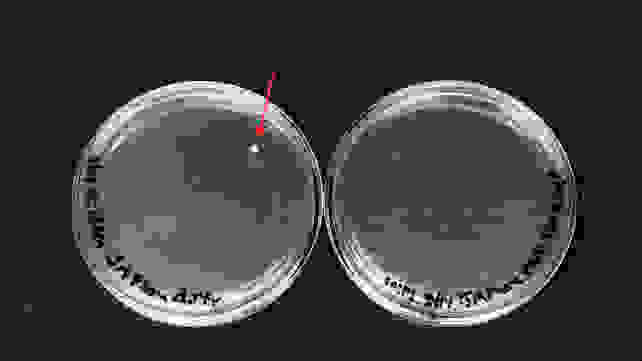 Bacteria on phone 1 pre- (left) and post- (right) cleaning with Sterilizer. 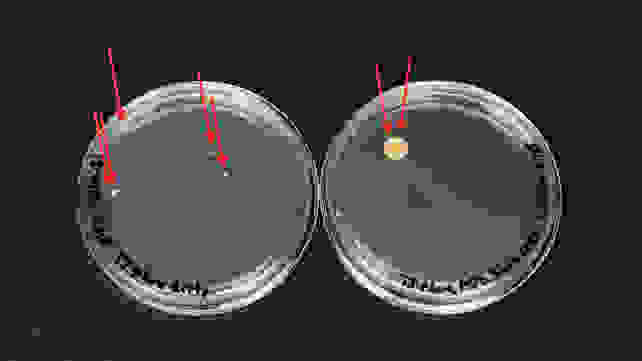 Bacteria on phone 2 pre- (left) and post- (right) cleaning with Sterilizer. Conclusion: Sterilizer, which boasts a capability of killing 99.9% of bacteria, is not as effective at killing bacteria as it claims to be. 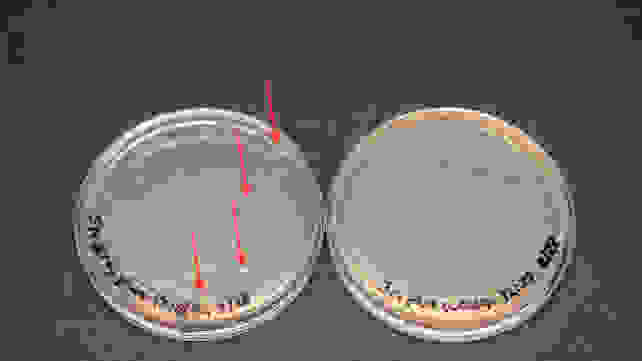 Bacteria on phone 1 pre- (left) and post- (right) cleaning with Carebox. Bacteria on phone 2 pre- (left) and post- (right) cleaning with Carebox. Conclusion: While the results are a bit mixed, Carebox appears to be able to kill bacteria more effectively than the Sterilizer, even if it appears to fall short of its claim that it can kill 99.99% of bacteria. 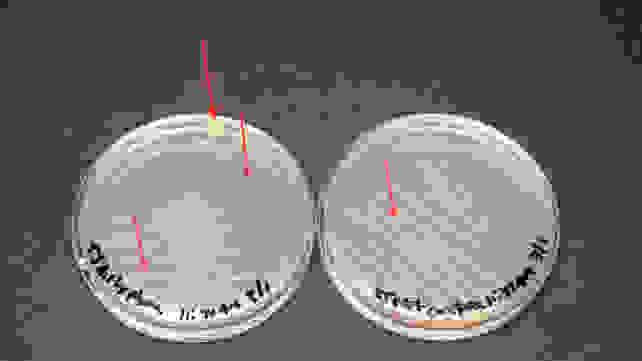 Bacteria on phone 1 pre- (left) and post- (right) cleaning with PhoneSoap. Bacteria on phone 2 pre- (left) and post-(right) cleaning with PhoneSoap. Conclusion: Once again, the results are a bit mixed. 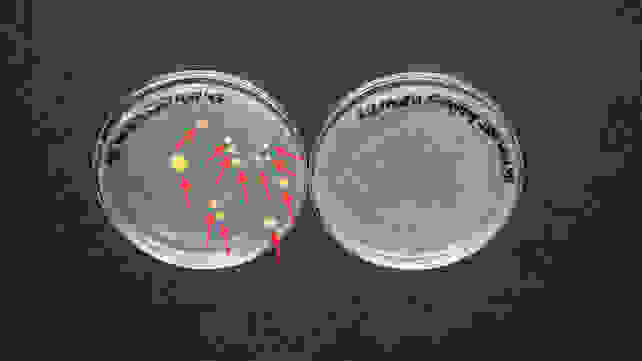 While completely successful in the first experiment, PhoneSoap was less successful in the second experiment, where a larger bacteria colony formed after cleaning. PhoneSoap may not be able to remove as much bacteria as it claims (99.99% of bacteria). Bacteria on phone 1 pre- (left) and post- (right) cleaning with the DIY disinfecting solution. Bacteria on phone 2 pre- (left) and post- (right) cleaning with the DIY disinfecting solution. Conclusion: While the second experiment was not useful, as no bacteria grew initially, the first experiment is indicative that the DIY disinfecting solution may be the most effective out of all of the phone cleaning products. 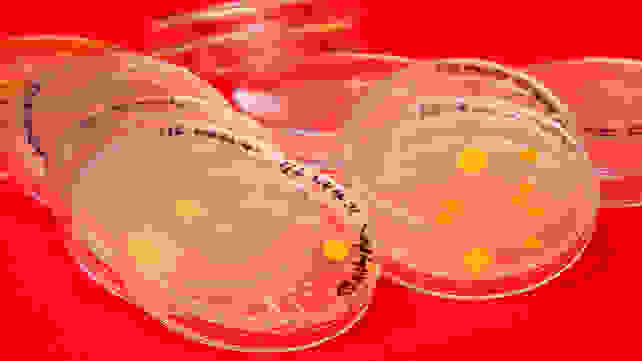 Numerous bacteria colonies were present prior to cleaning, and none survived the DIY disinfecting solution. How should I sanitize my cell phone? PhoneSoap is generally highly-rated in online reviews, and, in fact, a couple of reviewers actually did the same bacteria testing I did, and had much more positive results. However, there are a surprising number of reviews that claim that PhoneSoap stopped working within a few months. 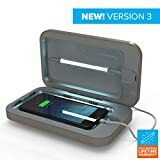 As one reviewer said, the science behind UV light killing bacteria is sound; but the device that harnesses that light may not always work optimally. PhoneSoap does have a one year limited warranty, though, so chances are that if your device stops working within the warranty window, you'll be able to get it replaced. If you spend a lot of time in a germ-heavy environment (medicine, science, child care, etc. 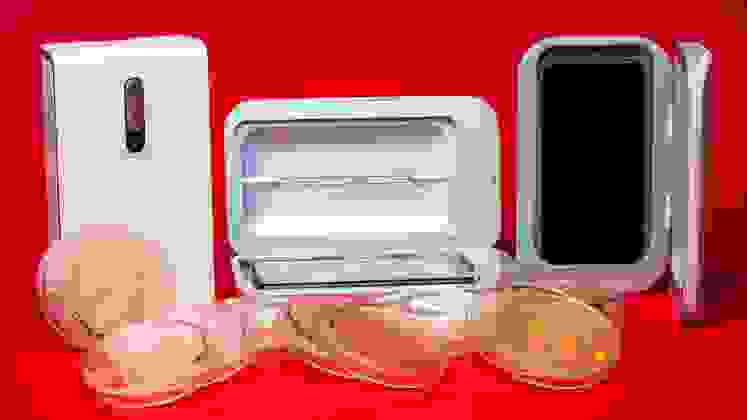 ), or often share your phone with other people (allowing for the rapid spread of bacteria and/or disease vectors), the convenience of products like PhoneSoap is obvious. A cleaning cycle only takes six minutes to finish, during which time it can charge your phone, and all you need to use it is access to a wall outlet. 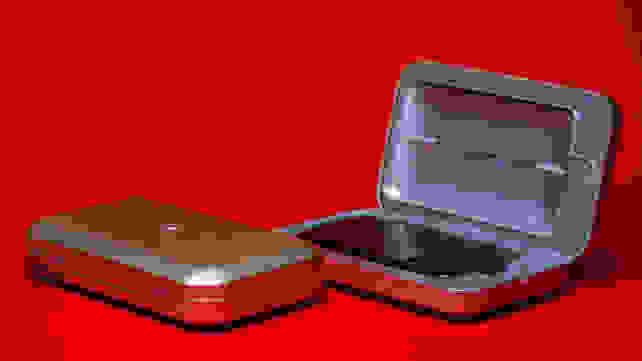 Plus, it can sanitize things other than your smartphone, like your keys, credit cards, jewelry, etc. However, if it stops working after a few months, you may find yourself with an overpriced paperweight. On the flip side, if you have the time to clean your phone yourself, spraying the DIY disinfecting solution on a microfiber cloth, and then rubbing the cloth all over your phone seems to be both effective and easy, if a little bit more time- and effort-consuming than phone sanitizers like PhoneSoap. Additionally, your phone only really needs to be disinfected once a week or so. Either way, making an effort to disinfect your phone can only be a good thing for you and those around you. Let's all try to keep those poo emojis on our phone covers, rather than have them be representative of what's on the phone itself.